Entries are now open for a Design Competition, which will make a real difference for Road Safety. Dulwich Hill Bicycle Club is seeking original and creative designs for stickers and posters. The winning entries will be printed and distributed to thousands of drivers, cyclists and pedestrians. This is a unique opportunity to see your own work in glorious colour, while having a positive impact on our community. Four categories of stickers and posters, promoting Road Safety. From January 2019 until Friday 12 April (end of NSW school term 1). This is your chance to make a positive difference. Open to both students and the general public. Winning designs will be printed in full colour (sticker size 250 x 75 mm, posters A2). Dulwich Hill Bicycle Club is one of the oldest and largest cycling clubs in Australia, established in 1908 and with 440 members. Our distinctive red jerseys are a common feature on the roads around Sydney. 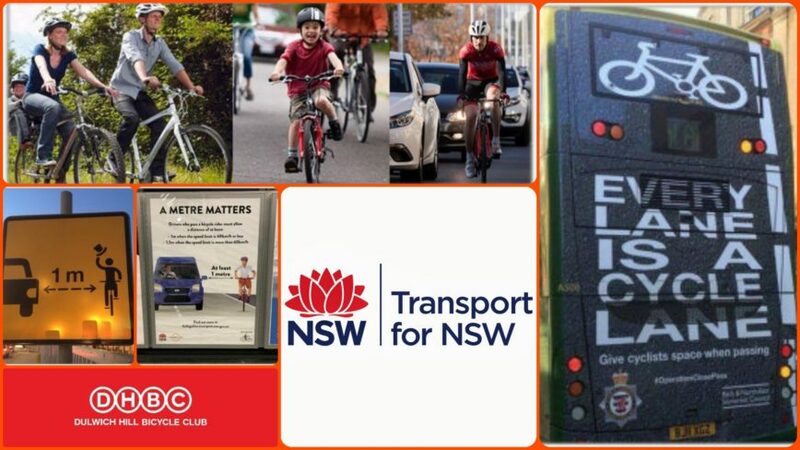 The club has received a community grant from Transport for NSW to hold this Design Competition. This Road Safety initiative is supported by the NSW Government.